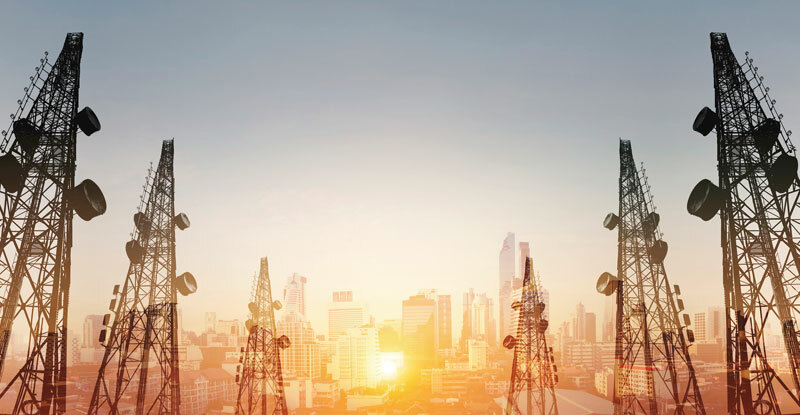 We assist in sharing of telecom infrastructure among telecom service providers, which is becoming the requirement and process of business in the telecom industry where competitors are becoming partners in order to lower their increasing investments. Quadra Infratel has a diverse business portfolio and has established its presence as one of the leading technology solution provider in the telecommunication sector across the India. Quadra maintains the collection of terminal nodes with help of which links are connected so as to enable telecommunication between the terminals by various means. 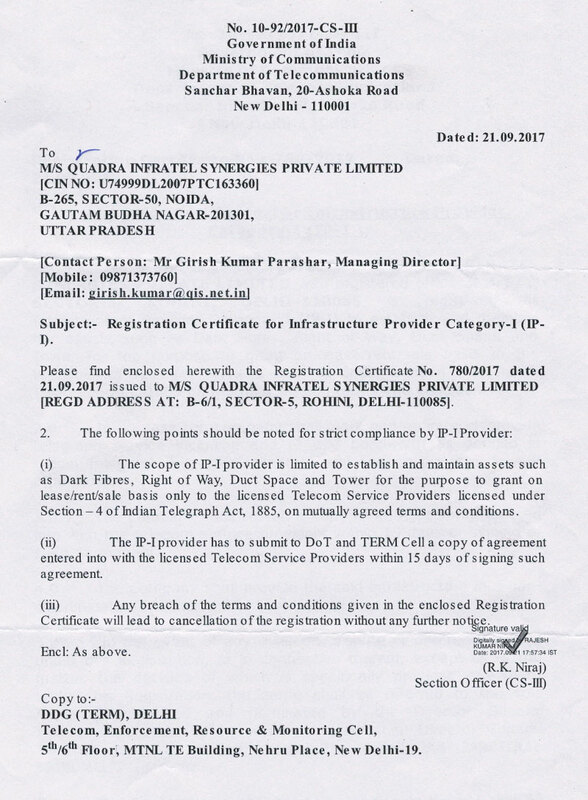 Quadra is registered with DoT under Infrastructure Providers Category-I and is authorized to provide/ maintain the assets such as Dark Fibres, Right of Way, Duct space and Tower for the purpose to grant on lease/rent/sale basis to the licensees of Telecom Services. 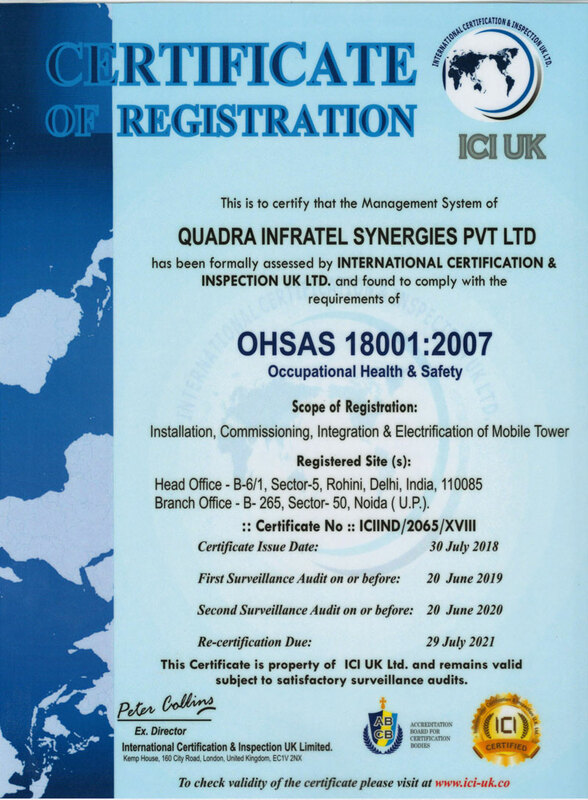 QUADRA INFRATEL was established by a versatile group of dynamic professionals. Earlier it was originally incorporated in the name of M/S Parashar Telecom Solutions Private Limited in the year 2007. 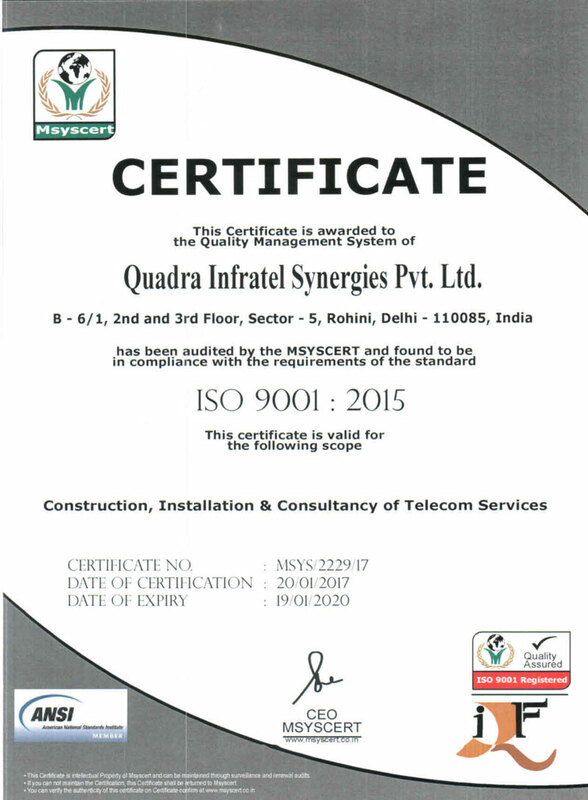 Quadra Infratel (ISO 9001:2015 Company), a well-established organization from the past 10 years in the field of providing turnkey solutions & services to the telecom infrastructure and other ancillary sectors. 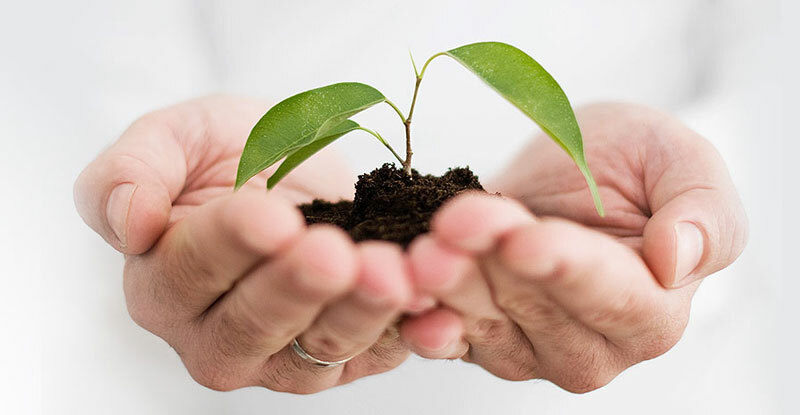 The Organization functions with the aim of providing single-window solutions to all clients; i.e. the telecommunication operators and telecom infrastructure developers, expanding their services across the nation; via its expert support service & delivery systems. Our Vision is to be reliable and prompt single window service provider by relentlessly making available, paramount quality services to its esteemed customers at all times. 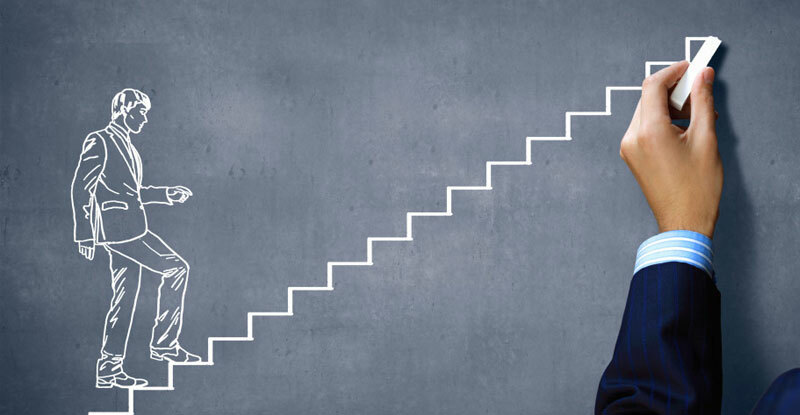 Company purely lives by its Mission to be the leader amongst peers, in terms of achieving at all times by the virtue of timely delivering & maintain the high quality in the work. Quadra Infratel has a diverse business portfolio & has established its presence as one of the leading technology solution provider in the telecom sector across the India. Why Quadra Infratel Synergies ? Sound experience of all type of civil & electrical infrastructure work with all the major telecom infra companies at national level. The project management team handles the entire project on turn-key basis from site acquisition to hand-over of site. We take great pride in the professional quality of our work. We have an uncompromising determination to achieve excellence. Copyrights © 2018 Quadra Infratel Synergies Pvt. Ltd. All rights reserved.